My printout has lines running through it when I make a copy using the ADF (Automatic Document Feeder). What should I do? Carefully clean the scanner glass and ADF. See below. Do not use a hard brush, alcohol, or paint thinner to clean the product or you may damage it. Do not use oil or other lubricants inside the product or let water get inside it. 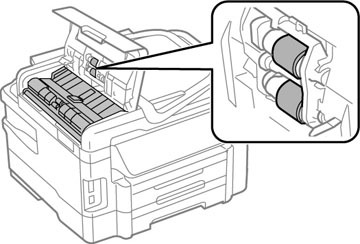 Close the rear paper feed slot when you are not using it, to keep out dust. 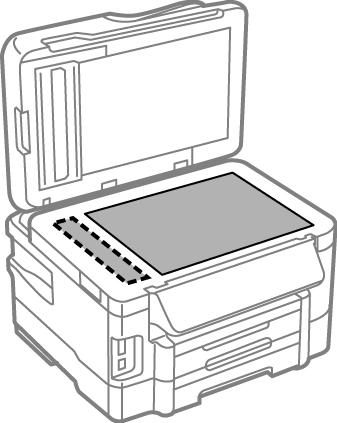 Clean the outer case and control panel with a soft, dry cloth. Do not use liquid or chemical cleansers. Clean the paper cassette(s) using a soft brush. Clean the scanner glass and the glass area on the left with a soft, lint-free cloth (microfiber is recommended), moistened with a little glass cleaner. Do not spray glass cleaner directly on the glass and do not press the glass surface with any force. Note: If lines appear on the printout or in scanned images, carefully clean the scanner glass on the left. Open the ADF cover and use a soft, dry, lint-free cloth (microfiber is recommended), to clean the rollers and the interior of the ADF. Published: Apr 19, 2018 Was this helpful​? Thank you for the feedback!